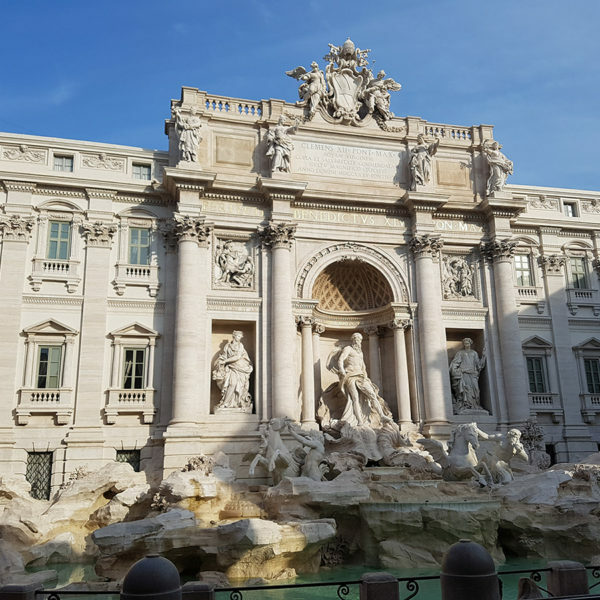 Attendees will travel by bus from the Parco dei Principi hotel and will reach Piazza Navona, considered the most beautiful baroque square in Italy because of the magnificent four rivers fountain. The square is built on the ruins of the Stadium of Emperor Domitian and it still presents the shape of the open space of the stadium. The tour will then bring you to the Pantheon, the great temple of ancient Rome, built by the Emperor Adrian in 117 a.C, whose structure has been kept the same as in the past, thanks to its transformation into the church of Sancta Maria ad Martyres. You will continue to walk through the tiny alleys of downtown Rome and you will reach Piazza di Pietra, where you will admire the columns of the temple of Divus Adrian. 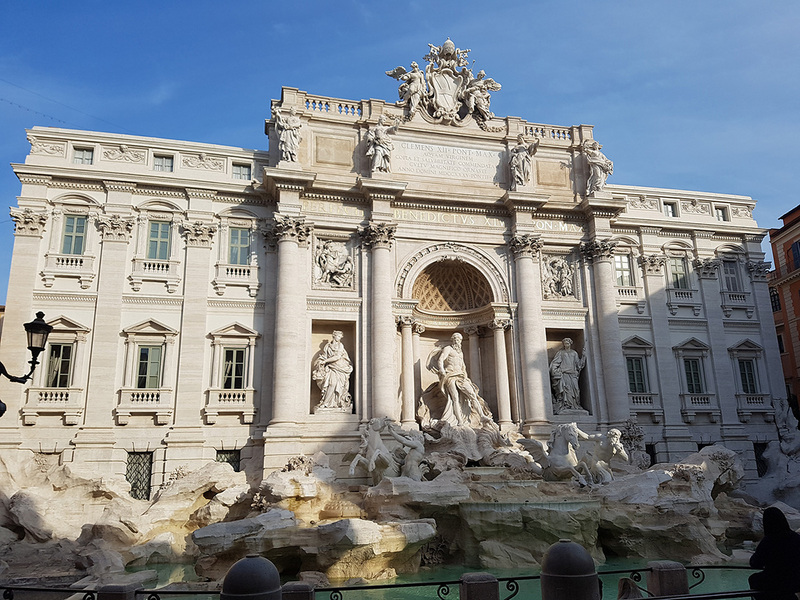 After that, you will arrive at Fontana di Trevi, famous worldwide for the numerous movies made here. Throw a coin into the fountain to respect the Roman tradition! After Fontana di Trevi, you will reach Piazza di Spagna and will climb the gorgeous steps in order to enjoy a magnificent view of Rome from the Pincio terrace. There delegates will rest for a while and will enjoy a glass of Prosecco. The tour will conclude with a walk down to Piazza del Popolo where the bus will bring you back to the Hotel Parco dei Principi.